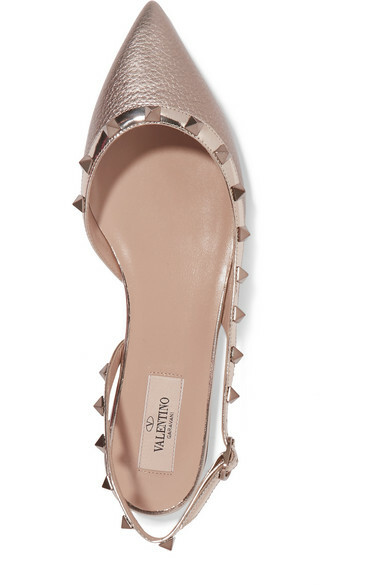 Valentino Garavani's 'Rockstud' flats are perfect for busy days where you'll be on your feet but still need to look put-together. 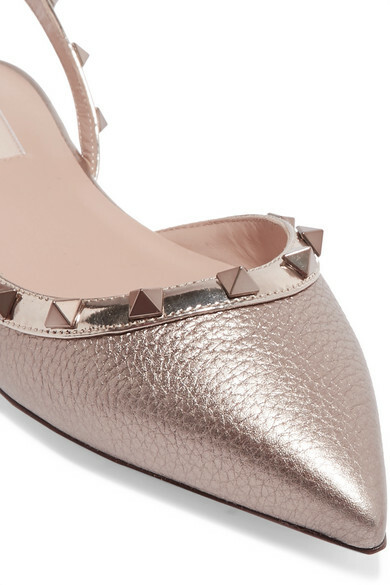 They've been made in Italy from luminous metallic textured-leather with a smooth studded trim and slingback strap. They're not just for daytime - wear them for dinner or parties with your favorite black dress. Shown here with: Nanushka Dress, Gucci Shoulder bag, Jennifer Fisher Ring, Alighieri Bracelet.